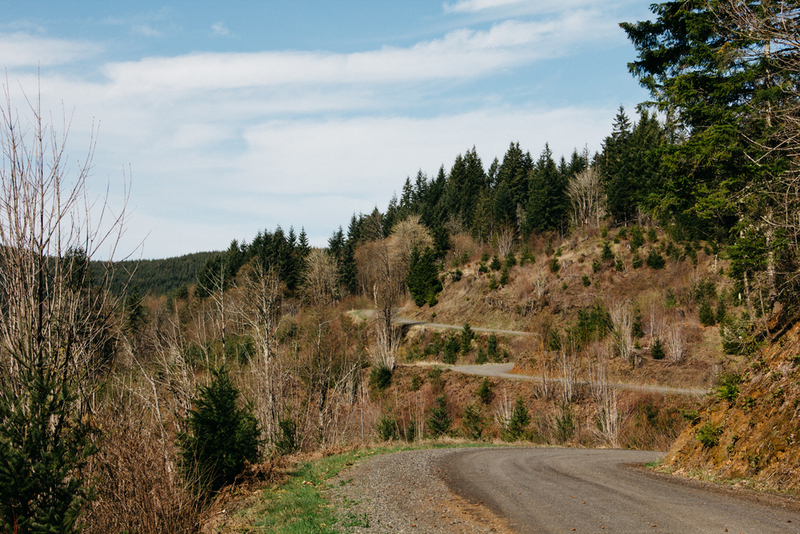 This fast-rolling and secluded gravel loop will stoke your sense of adventure, skirting the edge of the coast range with 55 miles of vibed-out country backroads right in Portland's backyard. 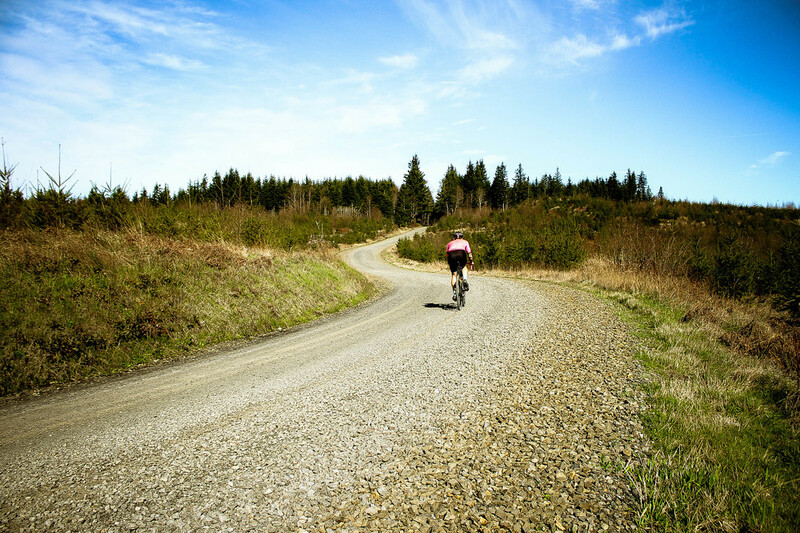 The Buxton Bacona Bonanza is one of our most frequently-revisited gravel routes largely due to the fact that it offers a satisfying combination of challenging terrain, secluded gravel backroads and a surprisingly 'out there' experience all within 25 miles of Downtown Portland. The starting point is nestled deep in Dutch Canyon at the base of the base of Otto Miller Road, an infamous bear of a climb that is both loved and loathed as somewhat of a right-of-passage. A turnout with space for three/four vehicles is located just above the intersection, providing an ideal staging area. Otto Miller is as enchanting as it is brutal. Improbably lush, verdant and moody, it climbs for 3.6 miles, winding serpentine contours into the thick mossy hillsides above Gourlay Creek before intersecting Dixie Mountain Road. Bear to the right at the three-way intersection, disregarding the 'Dead End' sign. Pass beneath the power lines and continue around a series of lazy curves for a little over a mile. At the end of a shady pockmarked straightaway, around mile 5, look for a small turnout on the left leading to a yellow gate (the second in as many miles). If you have ventured up to the right onto Wilderness Road, you will have gone too far. Behind the yellow gate you will find the doubletrack wonderland of Smoke Ranch Road! Smoke Ranch dips, dives and climbs through two deep-cut miles of medicinal-grade doubletrack before connecting with Pumpkin Ridge and heading south in a rolling descent for a little over 3 miles. Gravel gives way to tarmac momentarily before veering right onto Murphy, a ripping 2 mile roller-coaster descent to Dairy Creek. Dairy Creek Road winds south through alpaca farms and horse ranches before reaching a T-stop into Mountaindale Road. Turn right then another immediate right back onto gravel as Hahn Road meanders west skirting fields and forests. 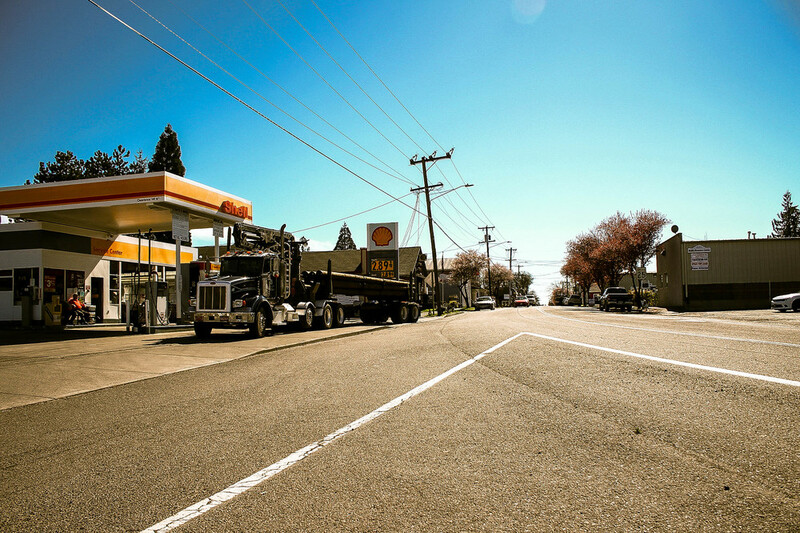 Don't miss the hard left as Hahn turns sharply south, connecting to Harrison and rolling west across Highway 26 into the town of Banks. Banks provides an opportunity to top off water bottles and grab a snack before heading north on Sellers road and tracking a beeline back into the hills for the second significant climb. Pavement ends around mile 22.7, transitioning back into another lush gravel ascent not unlike Otto Miller in setting, gradient and scale. At mile 25.7, Sellers drops slightly into an intersection and continues descending to the left. Take the following right onto Green Mountain Road, which gently climbs via lush, forested rollers before broadening into open farm and cleared timber land around mile 28. Green Mountain dips shortly thereafter into a slight downgrade, the bottom of which is our left turn onto Pihl Road. Pihl Road is one of the more exhilarating descents this route has to offer, dropping 1000 feet into the tiny town of Manning. At mile 32.6 Pihl sweeps to the right, intersecting Pongratz Road. Bear right onto Pongratz and keep an eye out for the Banks-Vernonia Trail crossing. Jump onto the Banks-Vernonia on the right-hand side and continue in a Northwesterly direction for 1.5 miles before taking a right onto Bacona Road. Bacona is the backbone arterial of the Scappoose/Vernonia mountains connecting highway 26 in Buxton w/ Pisgah Home Road eventually dropping down into the west end of Dutch Canyon. Settled by Danish homesteaders in the late 1870s, Bacona area roads still bear the names of the four original families: Nelson, Jeppeson, Hoffman and Peterson. Bacona gains elevation slowly and steadily in a northeasterly arc out of Buxton through familiar environs of evergreen, alder and moss, occasionally breaking out into clearcut. As Bacona continues to climb past Lawrence, Buxton Lookout and Sherman Mill Roads signs of civilization become fewer and further between, snaking though the deepening wilds. A curiously well-manicured house and grounds located on the right-hand side at mile 43.8 marks the last residence. This is where the going gets rocky for the next several miles as Bacona merges with Hershey and Pisgah Home Roads. Choose your lines carefully as this segment is deep with sharp and chunky rock and has claimed plenty of flats. This rough patch tapers off around mile 47 as Bacona passes beneath the powerlines. Bacona merges with northernmost leg of Pisgah Home Road at mile 48.6 in the form of a four-way intersection. Continue 'straight' following the main directionality of the road eastward...ie, no hard turns. From this point Bacona descends into a wide clearcut with a spiderweb of secondary spurs and offshoots. Bear right at the first fork then follow the main flow through the curves and up, cresting the hill to another four-way intersection. Continue straight through the intersection and begin descending. This signals the final descent into Dutch Canyon, which drops 2000 feet over five miles w/ some tight corners and fairly deep, loose stuff in the drier months. At the time of writing this, there was a yellow gate on the left around mile 53.4, leading to upper Dutch Canyon Road proper, however frequent and abundant logging in the area may have altered this segment a bit. In any case, continue to descend alongside South Scappoose Creek via grassy doubletrack to the lower gate and the intersection with Otto Miller shortly thereafter.